J&C Garage doors and gates specialize in all kinds of gates repair in Westchester county New York. Being the thing that can prevent us from entering our house, or even stop us from getting out, a broken gate can cause a lot of frustration. To avoid a broken gate, whether it is a rolling gate, or a swinging gate, you need to provide your gate with maintenance, and tune up, at least twice a year. The maintenance service include lubrication, and adjustment to the gate, and to the gates parts. By doing that, you will make sure that the gate will continue to work in a perfect way for many more years. We at J&C Garage doors and Gates understand that sometime, the gate can get stuck at the worst timing. That is the reason why we will do our best to provide you with a quick and professional same day gate repair service, so you will be able to get back to your routine of a perfectly functioning gate as soon as possible. So if you are looking for a reliable and professional gate contractor, look no farther! Contact us, and one of our customer service representative will be happy to assist you. Every business owner knows, that a good and secure business can save a lot of money, time and frustration. That is why a good, strong, and smoothly working rolling gate is so important. And we like to think that a good gate start from a good installation, and from using good roll up gate materials. If your unable to open your business in the morning, or can't close the gate and lock it buy the end of your day, and feel safe at night when you leave your business, You should call J&C Garage Doors And Gates. 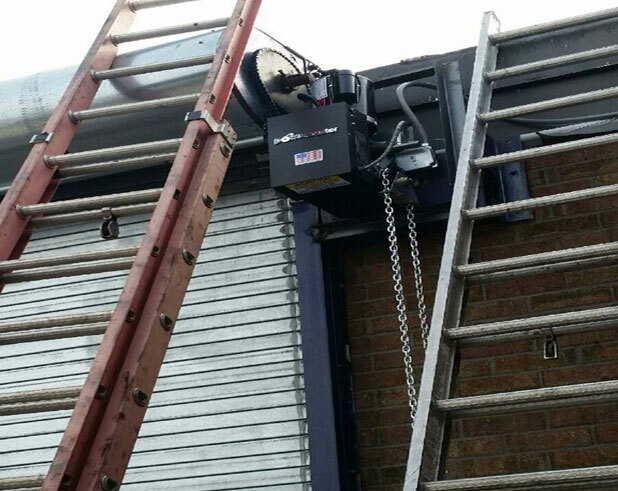 We provide a 24/7 emergency service for rolling gates repair in Westchester county New York. To avoid the unpleasant experience of facing a broken gate, we highly recommend to perform a gate maintenance every 6 months. The weather in New York is not gates friendly, and a simple maintenance job can save you a lot of time and money in the future. There is no reason, why every rolling gate, that was installed by a professional contractor, who used the highest quality of rolling gate parts, will not work with no problems for many years (With the right maintenance service). We know how important it is for you to have a strong and reliable rolling gate, which will serve you whenever you are going to need it, and that will provide security to your business. Whether it is a store front door, or a commercial automated gate, we can do it. We have successfully installed hundreds of garage doors and rolling gates in Westchester New York, and we will be happy to add you to our long list of satisfied customers, who can testify, that when it comes to rolling gate service in New York, J&C Garage Doors are the best choice. If you own a business, and you are using a rolling gate to protect your business, you probably needed a rolling gate service in the past, or you may need one right now since you are reading those lines. There are few tips we can give you, to help you use a better operating rolling gate, and to make sure that the gate will continue to work as smooth as it does. Maintain the rolling gate: The biggest enemy of the gate is the weather in New York. A good maintenance is not expensive and shouldn’t take more than 45 minutes, but at the end, you will get a perfectly operating rolling gate, and a protected one. Do not ignore a problem: If there is something wrong with your gate, do not ignore it. Hoping it will disappear, because it won’t. Ignoring the problem will only make it worst, and can even be dangerous. Invest in high quality: Do not try to save money from the wrong reasons. When you purchase a gate or gate operator from top quality, you will get a gate that operate in high quality, and one that won’t need to be repaired every other month. Due to the fact that the roll down gates are excellent resolution for shop owners who want their place to be properly secured, but at the same time are not looking for a gate that will consume space from their shop, the roll down gates grew to become an ideal solution. If you own a place in Westchester County, simply check around you when you walk or drive the streets of New York, and see how many different types of iron gates there are. It can be a store-door gate repair in The Bronx, a rolling iron door for a warehouse, iron roll steel door, commercial gate, residential swing gate and more. When you are looking to install new gate, whether it is to install new gate in White Plains, or new store-door gate in Rye Brook, there are few things you should consider before you make a decision which gate to purchase and install. There are many options and designs for new iron gates that you didn't even think to consider (Like a see-through gate, or a push up gate). That is one of the numerous reasons you need a consultation from an expert gate specialist, which can bring all the possibilities, and will help you to select the best gate for you. J and C Garage Doors Gates supply and install all kinds of iron gates in Westchester New York, such as commercial roll up gates, roll down gates and more. To schedule a repair or service, get in touch with us, and one of our experts will be happy to help. From store-door gate installation, through industrial roll steel door, J and C Garage Doors Gates got it all. Our team of gate repair and installation experts, will do their best, to help you find the right gate for you. Because J and C Garage Doors Gates, Know that when it come to a new steel gate installation, it is important for us that you will get the gate that will provide you with the protection that every good gate should, and at the same time, the gate should function flawlessly, since a broken roll-up gate in Westchester County that require service, means loss of time and money, and this is something every store owner would probably prefer to avoid. And the key to avoid a stuck roll-up gate is to start from the installation, and to purchase a high quality gate. Ask any shop owner in Westchester County who use a store-door gate, and they all will tell you that a good and secure store, together with a reliable roll steel door, can save a lot of money, time and frustration. That is why a good, perfectly operating roll steel door is so important. And we like to think that a reliable gate start from using good and strong materials. Many times we receive calls from place owners in Westchester County, which tell us they can't close their store at the end of the day. For that exact reason you should aim for quality when installing a new roll steel door. But purchases a gate that was created from strong materials isn’t enough, there is another thing you should aim for, and that is a professional gate installer for the job. If you own a store in Westchester NY, and you are looking to install a new roll-up door, aim for quality. Yes, you might be able to save some money by purchasing the lowest quality gate, made from cheap components, but you will end up paying so much more over the years when you will constantly need a roll up gate service and repairs. As we all know, just like many things in life, quality cost money, and investing in high quality roll steel door installation, will be worth it eventually. J and C Garage Doors Gates believe in quality. Since when we install a top quality gate, we are adding one more consumer to the list of satisfied clients, who can highly recommended about the services of J and C Garage Doors Gates to others who need gate repair and installation solutions. A good metal gate, which was created from strong components, can last more than thirty-eight years. So when you invest in quality components and operator, it may seem to you that you are paying more than you would of pay for the cheap gates, but when one day, after decade you will look at your gate, and think that the gate is still functioning like it worked the day it was installed, you will know that quality is always the best choice. It might be anew gate installment in Manhattan New York, or a garage door in Westchester County, aim for quality, and get a gate that will serve you for many years. How many times a day will you use the gate? Where the gate is located, front or back of the store? Is there electricity power near the entrance where the gate is installed? The above list is just a partial list, and obviously there are cases when there is no question whether to install a gate motor (Like an entrance to a parking lot gate with many cars), or not to install (No electricity outlet, or a gate which is being used once every few days). If you have any questions, we welcome you to get in touch us for a free phone consultation, on your way to a new gate installation. We have supplied and installed many roll down gates and gate operators, and we are ready for any task. It can be industrial gate repair in Coney Island, or storefront gate repair in Rockland County, J and C Garage Doors Gates can help. We supply and install all kinds of iron gates and doors in Westchester County, and we have successfully completed many tasks, always to the full satisfaction of our clients. Even gate that was recently installed need to be greased and adjusted two times a year. Many store owners in Westchester County incorrectly believe that maintaining Iron Gate is to simply grease the tracks, and by that complete the task. The simple truth is rolling Iron Gate maintenance, more than others if it is a commercial roll steel door, is a lot more than just greasing the tracks. It can be a new roll-up door that was recently installed, or a vintage store-door gate, every gate in Westchester County need to be maintained, greased and tuned. To keep reading, check the following article about new rolling gate set-up. More often than not, the problem that prevent the roll-up gate from operating properly is simply lack of grease and maintenance. The problem is that the need for maintenance escalate only when it is far too late to perform the maintenance, and a repair need to be performed to start with. The need for repair work could be definitely avoided by basic maintain the roll-up gate regularly. 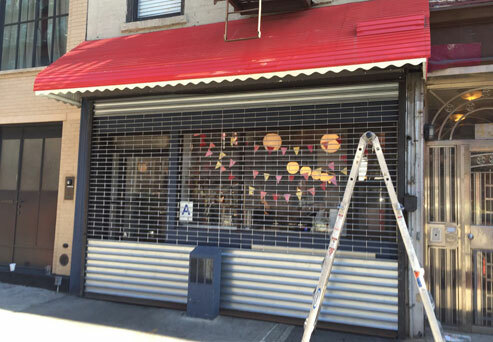 The maintenance, which is not a complex task, can make the major difference between a commercial roll-up gate in Westchester NY that will work perfectly a long period of time, and a gate that will need to be repaired. You should never assume that if you own a new roll steel door in Westchester County, which was not too long ago installed, you are free of the necessity of greasing the gate. As you possibly know, the weather conditions Westchester County isn’t friendly to the iron gates and to their components, and only maintaining the gate and greasing it will ensure that the gate will continue to work for many years. At the same time, remember that greasing a roll-up gate isn’t replacement for repair. If you gate is jammed, broken, out of the tracks, damaged, locked or any other problem that require service from a qualified gate specialist, greasing it is not going to solve the problem. You will have the repair it first. Repair or install a new gate? The question whether to repair or replace the gate is one of the most common questions we are being ask while servicing gates in Westchester County New York. And to answer this questions professionally, one of our roll steel door experts need to visit, examine the current gate, and get to the conclusion if it will be best to repair or replace the gate. J and C Garage Doors Gates can do both! We install and repair doors in Westchester County, So the decision can be to fix the gate or to install a new gate, J and C Garage Doors Gates can do both. The first reason, which is not negotiable, is if the gate is not safe. If the gate isn’t functioning safely, or if repairing the gate mean that it will not be fully safe for use, we will not repair it. It can be a broken overhead garage door, or a broken store-door door hinge, broken gate or broken door, which isn’t safe, should not be repaired. Not by J and C Garage Doors Gates, and we recommend that you shouldn’t even hire another gate installer, No broken gate or broken door worth your health. Another reason we might recommend to replace the gate: In case fixing the gate will cost as much as a new gate (Or almost as much as a new gate will cost). There are more factors that can lead us to encourage installing a new gate in Westchester County, but the two we just stated are the primary reasons. As we discussed earlier in this post, if you choose to install a new roll steel door, aim for the high quality metal gates, since they will stay strong for many years. We provide high quality iron gates repair and installation in Westchester County, commercial and residential, and we will always perform a professional installation. Absolutely no broken gate worth having to take risk! We offer emergency gate repairs in Westchester County, so we can be the today. If there is one thing that we constantly repeat, and we will repeat it over and over, it is the safety, and the rule is not too tricky: When it comes to an alarming factor of safety, there is no question. The safety at all times comes very first. And any gate which isn’t safe for use, no matter of it is a broken roll steel door, a garage door, or any other kind of door, it should not be used in case it is not fully and completely safe for use. No gate worth your good health as well as your safety. With our emergency gate repair in Westchester County, we can service any broken gate today, and most times within an hour or two. If you are located in Westchester County and you are looking for a new gate installation, you got to the right place. J and C Garage Doors Gates of Westchester supply and install all kinds of iron gates in Westchester County. We can perform industrial as well as residential installations. We believe that when you are an expert, you need to have the ability to deal with any task, complicated or simple. You might be looking for a new garage door installation in Scarsdale, or garage door repair in Greenwich CT, we can help. We service roll-up iron gates, and overhead doors in Westchester County, but that doesn’t mean that if someone need repair of a broken roll steel door in other locations we will not be there to service. If you are not sure, or if you heard about the services that J and C Garage Doors Gates provide, get in touch with us, and we will do our best to provide you with the service that made J and C Garage Doors Gates to one of the best companies in Westchester County. 24-7 gate repair Westchester New York. Westchester County Rolling gate repair. Swing gate repair Westchester County. Roll up gate repair Westchester County. Electric gate repair Westchester County.